Well over half of Europe is today inhabited by about 270 million people speaking one of the many Slav languages and dialects. Despite this, their origin and early development are still poorly understood and they have remained among the most enigmatic problems of European archaeology. Alongside major political changes in Eastern Europe, important advances have been made in understanding the archaeology and history of its peoples, but much of this scholarship has been unavailable in Western Europe. This book, one of very few in English, brings that new evidence to a wider audience. 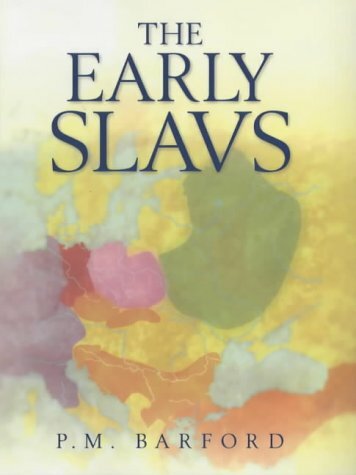 During the early mediaeval period the Slavs expanded from their original homeland in the Ukraine to colonize vast areas and to found most of the modern nations in Eastern Europe. With first-hand knowledge of the archaeology and other sources, the author creates a vivid picture of daily life in early mediaeval Eastern Europe from the early 5th to the end of the 10th century AD, a period of profound transformation. The final chapter sets the early mediaeval developments into the perspective of the history and culture of modern Europe. A series of specially compiled maps chart the main cultural changes taking place over six centuries in this little known part of Europe. Paul Barford has lived in Poland since 1986. Formerly assistant lecturer at the Institute of Archaeology, University of Warsaw, he is currently Inspector of Ancient Monuments in the Polish Ministry of Culture and Art and the author of numerous journal articles and reviews and several monographic reports on excavations in England and Poland.